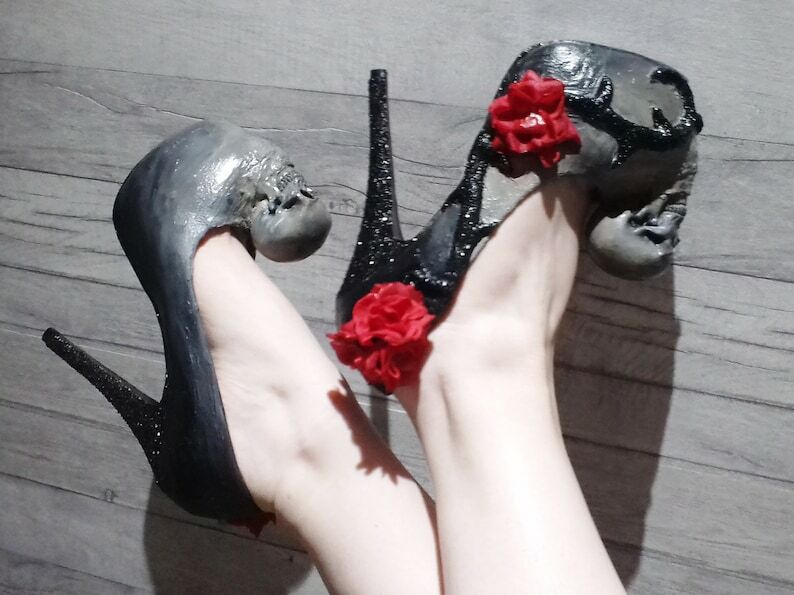 The above listing is for a pair of my custom made 3D Model Hand Sculpted & Hand Painted Day of the Dead Heels! 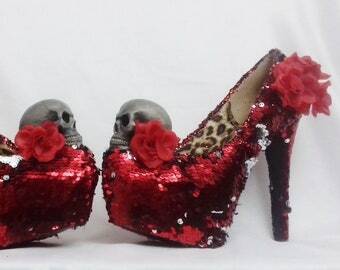 If the Devil wears Prada then I think the Grim Reaper may have an eye on these shoes. This shoe takes many hours to create therefore the timescale is extended slightly for this shoe and may take an additional week to complete. 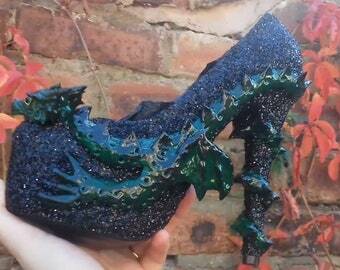 This shoe is part of my Fantasy Modelling Range which I hope to build up over the next few months. 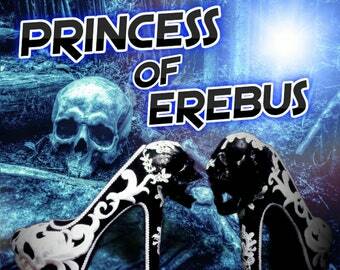 The shoe itself has a black Vine running along the outside with Roses situated on the vine. There are small Thorns along the vine (don't worry they aren't sharp). Finally, situated on the tips of the heels are skulls which take pride and place.is then hand painted. This shoe is sealed with protective spray. The colour scheme is interchangeable and the flowers can be picked to match your outfit or theme.